Interested in purchasing in new construction? We have all the answers you need for a smooth transaction in our new guide. Our team is one of the top-selling teams in the city several years in a row. Trust our knowledge and professionalism to sell your home. All homes are not created equal and neither is their value. Allow us to put our expertise to work for you with a Free Home Analysis. What do you need in your next home purchase? 3 car garage? Finished basement? Allow our team to go to work for you finding the perfect place. Jason & Kathi, We are so glad you were able to make it to our housewarming party! Thank you for everything you did for us to make the purchase of the house go as well as it could have! You are really the “Dream Weavers” because it really is our dream home!! Thank you again! We recently listed and sold our home with the Weaver team. Kathi did an excellent job positioning the home on the market and had three offers in four days. There was an 11th hour issue the buyer’s funding and Kathi and her team jumped and resolved the issue in less than two weeks. Cannot thank Kathi and Jason enough!!! I would recommend them to anyone looking to sell or buy a home. Thank you! Shanon is the best. Simply put. She is amazingly organized and really knows what she is doing. We had a lot of fun working with her and she helped us find a house in the area we wanted under our budget! She helped through out the entire process and even helped after when we had some issues. I’ve known Taylor for years and she is an outstanding agent. Most recently, she sold our rental property in less than a few days and made the transaction nearly stress free. She is very diligent and responsive, along with being very educated on current market conditions. She’s also great at ensuring that her clients are well positioned whether it be on the buying or selling side. I would highly recommend Taylor to anyone who needs a great real estate agent. We did 2 transactions with the Weaver team – sold a home and purchased a home. Their extensive knowledge of real estate and the market, professionalism and commitment to closing the deal is beyond compare. We have bought and sold many times over the years and they are the best in the business. Both transactions closed smoothly and they went above and beyond throughout the entire process. We definitely recommend they to our family and friends and plan to use them again in the future. 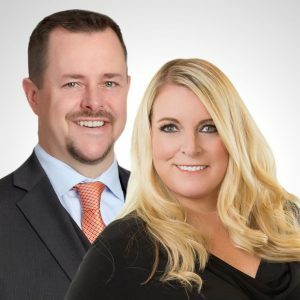 Colorado natives Jason and Kathi Weaver are accomplished real estate professionals who lead The Dream Weavers Real Estate Team. The dynamic husband and wife team are known for their extensive market expertise and new construction experience. Our team is dedicated to putting our experience and local knowledge to work for you in all steps of your real estate transaction, from start to finish. Find out why The Dream Weaver Real Estate Team is one of the most respected teams for buying and selling in Denver.